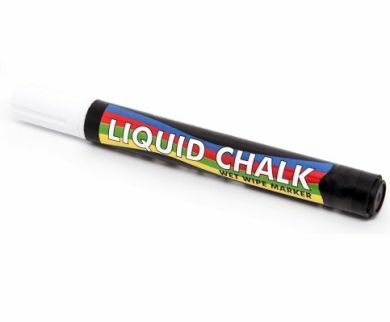 Liquid chalk liquid marker for use with our chalkboards. They are rain resistant pens which can be used on a range of surfaces, including chalk and blackboards, glass and mirrors. Display your offers or menus in a bright, exciting and attractive way. Easy to erase with wet cloth.